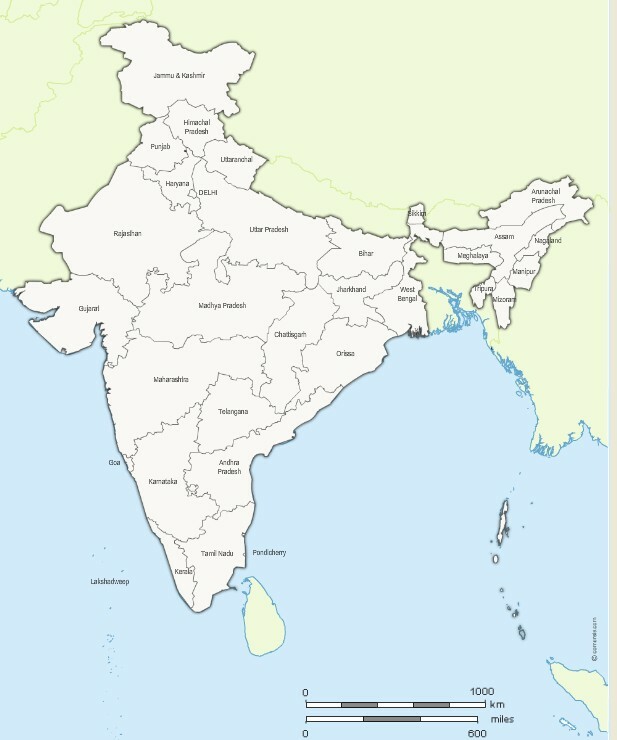 Vector map of Indian states with names and boundaries. Editable map of India with its 29 States appointed (non-vectorized text) and neighboring countries. Original Size: 600 x 700 pixels Vector formats: Illustrator, SVG, SWF importable. 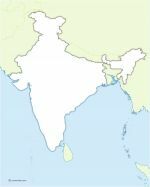 Map of India and border countries in Illustrator, Svg and Flash. Original map file size : 600 x 700 pixels. Free to download and to use.